Local small-business owners have a message for "Game of Thrones" fans: Merchandise inspired by the hit series is not coming, it's here. 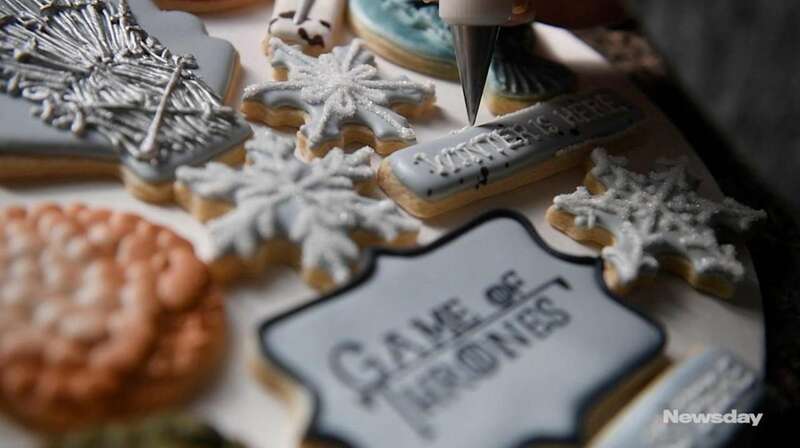 From custom cookies featuring bloody swords and the show's antagonist, the ferocious-looking Night King, to colorful soaps in the shape of dragon eggs, Long Island makers are capitalizing on the consumer craze surrounding HBO's hit series ahead of the Sunday start of its eighth and final season. Rockville Centre custom cookie baker Colleen Boyle Patafio said she was taken aback by the "wild demand" for her "Game of Thrones" cookies. An order from a customer who wanted to send a cookie platter to her son, who is away at college and a huge fan of the show, started it all, said Boyle Patafio, who said she's been working so much she hasn't had "enough hours to binge-watch" the series. Boyle Patafio took a photo of her creation, a tray of 25 cookies priced at $2 each, and posted it on social media. "It's been crazy since then," she said. "There's just so much built-up excitement surrounding the show, and so many people are hosting watch parties. My phone has been ringing off the hook, but I can't accommodate them all." At Alpine Pastry Shop in Smithtown, walk-in customers can buy chocolate-topped sugar cookies emblazoned with the faces of characters including Jon Snow, Daenerys Targaryen and Tyrion Lannister. Six cookies cost $24. Jennifer Hernandez of Brentwood said she was surprised when her sister Patty handed her a small white box of Alpine's cookies. "On top of the box, she wrote 'Finally G.O.T. you a little something. Happy Season!' 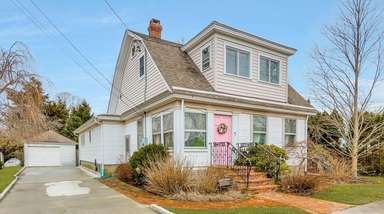 When I opened it, I was so touched and so happy, I started crying," Hernandez said. "Now my sister understands how much the show means to me." The treats have been selling well, Sophia Cuccia, whose family owns Alpine, said, adding that her own obsession with "Game of Thrones" has run deep for a couple of years now. "I only wish we would've done it sooner." Jaclyn Fenimore of Commack, also a longtime fan, said interest in her homemade GoT-themed soaps is high, too. She sells her products, including a replica of the show's "iron throne," metallic-burgundy dragon eggs and a fierce "Lannister gold" dragon popping out of a bright red bar, on Facebook. Single bars cost $4; a five-soap custom "House" basket is $15. The soaps are scented to correspond with themes on the show, said Fenimore, who works at an accounting firm by day. "I chose firewood for the House Targaryen soap because the Targaryens are known for fire, dragons and their mad king burning people. I'm working on a White Walker bar, which will have an Aspen winter scent, next." National brands are cashing in on the show's popularity too. 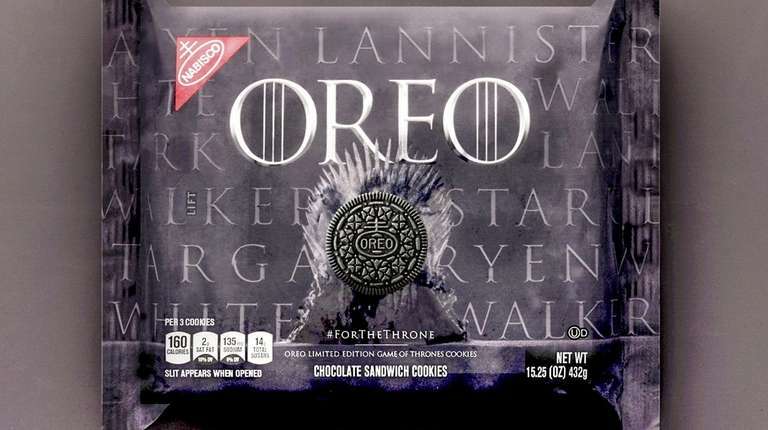 Oreo on Monday released limited-edition "Game of Thrones" cookies adorned with four designs representing characters on the show, and Johnny Walker is selling a White Walker Whiskey, a limited-edition Scotch inspired by the show's mysterious White Walkers. Seaford resident Michael Ervolino bought about 40 packs of the Oreos at Shop Rite, Target and Walmart for about $3 each. He's selling them for $10 on the Facebook Marketplace, Ebay and Letgo. He and his wife are hoping to adopt a baby soon and were looking for ways to raise funds toward the adoption costs. "A buddy of mine in Jersey who bought some of the "Game of Thrones" Oreos and quickly sold them on Ebay suggested I do the same," Ervolino said. "I've already sold 15 packages, mostly on Facebook and Ebay. I'm hoping to grab some more before they're all gone." Consumer thirst for all things GoT, however, goes beyond bathtime products and baked goods. Loreen Salazar, a social studies teacher at Longwood Junior High in Yaphank, said she's spent about $200 on GoT-inspired items including custom pencils engraved with characters names and T-shirts that read "I teach and I know things" and "Don't make me add you to the list," a play on catchphrases from the series. "We have opening and finale parties already planned, we all wear our GoT shirts to work on Thursdays, and even have a death pool going" to bet on when characters will die, she said. "One friend has bought the Oreos, another made custom 'Game of Thrones' wine glasses, we're all very excited."